Frequently Asked Questions for Ed.D. What is the Professional Practice EdD Program? The Doctor of Education (Ed.D.) degree at the University of Florida is an established doctoral degree offered only in the College of Education. The online professional practice doctorate is designed to prepare practicing professionals serving or preparing to serve as educational leaders at all levels. The degree is designed to connect advanced graduate study with the problems of practice encountered by educational leaders and will prepare them to create a more seamless connection between theory, research, and practice. In addition the online program meets the needs of adult learners by providing more self-directed, job-embedded learning application opportunities and by accommodating varied work schedules and family responsibilities. It extends the opportunity to receive an advanced graduate degree from the University of Florida to full-time educational professionals throughout the state and nation who cannot leave their families or cannot accommodate the financial sacrifices necessary for full-time on-campus study. How is this program different from other doctoral programs? The program is cohort based with participants working together as a community of learners to tackle common and individual problems of practice. Courses specifically link theory and research to problems of professional practice within participants’ contexts. Course assignments support educators in application of and inquiry about their learning. Qualifying examinations are organized around reflective portfolio entries in which participants demonstrate conceptual understanding and application of learning to problems of practice. The dissertation is designed as a capstone experience in which participants work in research groups to design and implement complementary studies focused around context based problems of practice. The audience for the professional practice doctorate in Curriculum & Instruction specializing in TSS is practicing educational leaders through the state and nation. We are seeking leaders who are working actively in school improvement initiatives and to enhance the quality of professional development. Participants will be responsible for tuition, books (price varies), travel, housing (summer and weekend obligation), and application fees (including GRE testing). Students can anticipate taking a minimum of 60 credit hours for program completion (i.e. Sixteen 3-credit courses and 12 credits of dissertation). Tuition for this online program is different than tuition for campus-based programs. Tuition costs can be found here: https://education.ufl.edu/coe-online/tuition-and-fees/ . As with all universities and colleges, tuition rates are rising. We expect that UF tuition costs may increase 5-10% per year based on legislative mandates that we cannot control. Will my degree help me get a raise in the public school system in which I am employed? Prospective students are encouraged to visit the Online/Distance State Authorization Process and UF Online page to be sure that this program is authorized in your respective state. Prior to enrollment, students are also encouraged to visit their state educational agency or licensing board to ascertain whether or not they can utilize their degree program for additional compensation, initial licensing, or renewal of an educational license, as well as any other benefits. What commitment do participants need to make? Required week-long on-campus experiences every summer (always during UF summer break week) during the first 3 summers. One day each for qualifying exams and then dissertation defense. Participation in occasional video conferences with UF-based faculty when scheduled. Staying on track with the cohort – this is a cohort-based program, and we cannot guarantee that you will graduate on time if you get off track. While we recognize that working professionals need flexibility, we cannot guarantee that this program will work for people who get off track. This is a specialized program and required courses are offered once every two years. This is a cohort-based four-year program. Because of the intensive cohort nature of this program, it is highly unlikely that graduate credits beyond the master’s degree will count toward this doctoral degree. Courses will be scheduled so students can complete the program in a timely way, with standard time to completion being 4 years. If a student falls behind the cohort for some reason, it will generally mean delaying progress toward your degree until the next cohort begins. A cohort is admitted every other year. Can I apply early and start taking classes early? No. This is a cohort program so you must begin when the cohort begins. We never admit early or allow students to take courses early. Where will classes be offered? The majority of classes will be offered online. Sessions are usually sixteen weeks in length. 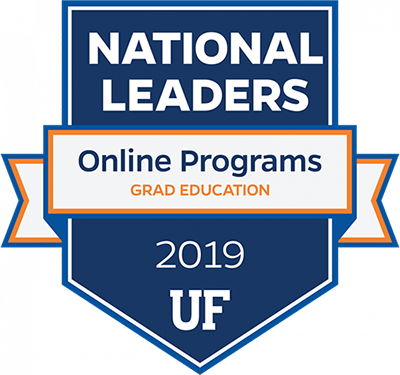 In addition to on-line coursework, students are required to attend a week-long on-campus experience every summer (always during UF summer break week) during the first 3 summers. Students are also required to be on campus for qualifying exams (one day) and dissertation defense (one day). How many courses can I transfer in? Typically your entire masters degree will transfer in (up to 30 credits) as long as it is education-related and/or content-related to your current job, and if it is from an accredited institution recognized by UF. If you have a graduate degree from UF, you are allowed to transfer in up to 36 credits which only lightens your load in some semesters but does not shorten your program length. What are the dates for the summer experience? 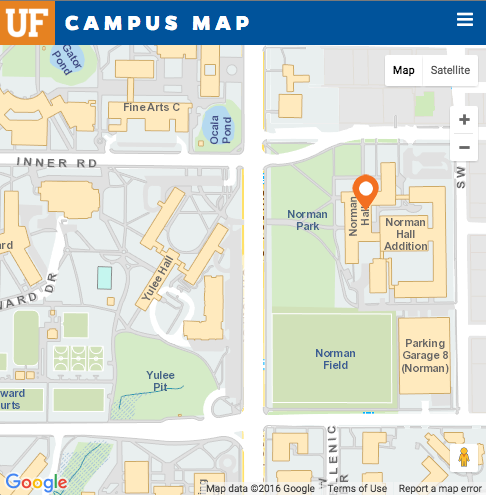 The summer experience will be held during the UF inter-session between Summer A and B. Generally this is the third week of June each summer. Attendance is required and upon admission you must commit to attend the institute for the first three summers. How does the cohort structure work? As cohort members, participants must support the success of all members by actively participating in facilitated discussions, bringing evidence of student and adult work and working collaboratively on activities such as inquiry, peer review of papers, and coaching professional development experiences. The TSS EdD Professional Practice Doctorate is highly competitive. Applicants are expected to check the TSS website for information about how to apply. Applicants will have to meet all University entrance requirements in order to be selected. Current entrance requirements include three or more years of practical experience, a full-time professional role in education, an upper division undergraduate GPA of 3.0, acceptable GRE scores on the verbal and quantitative sections, and an essay on an assigned topic. You should know that the GRE is only one criterion. The admissions committee reviews all application materials using all available evidence on a case-by-case. When will I know whether I’ve been admitted? Letters of acceptance will be mailed in late February 2020. Will my masters degree credits all transfer in? Due to the high volume of interest in this program, we ask that you first contact Dr. Jeter through e-mail with your questions, and set up a time to talk if needed. If you call directly, we cannot guarantee a quick response.